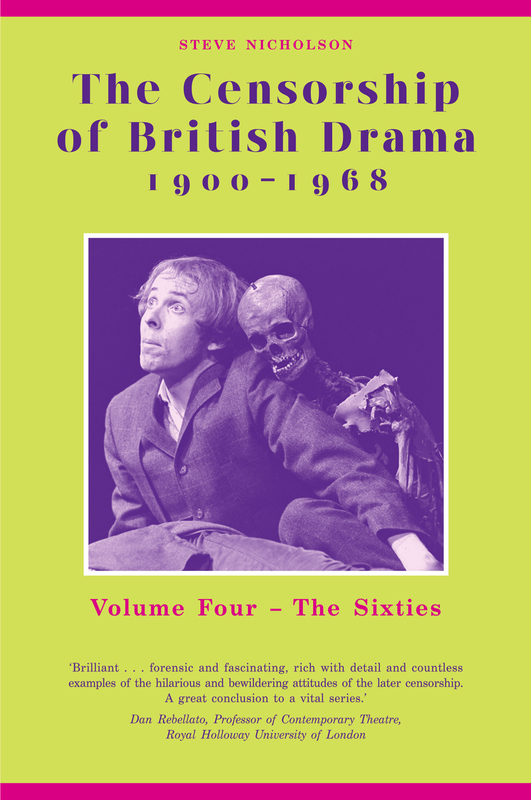 The 1960s was a significant decade in social and political spheres in Britain, especially in the theatre. As certainties shifted and social divisions widened, a new generation of theatre makers arrived, ready to sweep away yesterday’s conventions and challenge the establishment. Focusing on plays we know, plays we have forgotten, and plays which were silenced forever, this book demonstrates the extent to which censorship shaped the theatre voices of the decade. The concluding part of Steve Nicholson’s four-volume analysis of British theatre censorship from 1900 until 1968, previously undocumented material from the Lord Chamberlain’s Correspondence Archives in the British Library and the Royal archives at Windsor are examined to describe the political and cultural implications of a powerful elite exerting pressure in an attempt to preserve the veneer of a polite, unquestioning society. 'a consistently engrossing, entertaining and sometimes hilarious narrative.